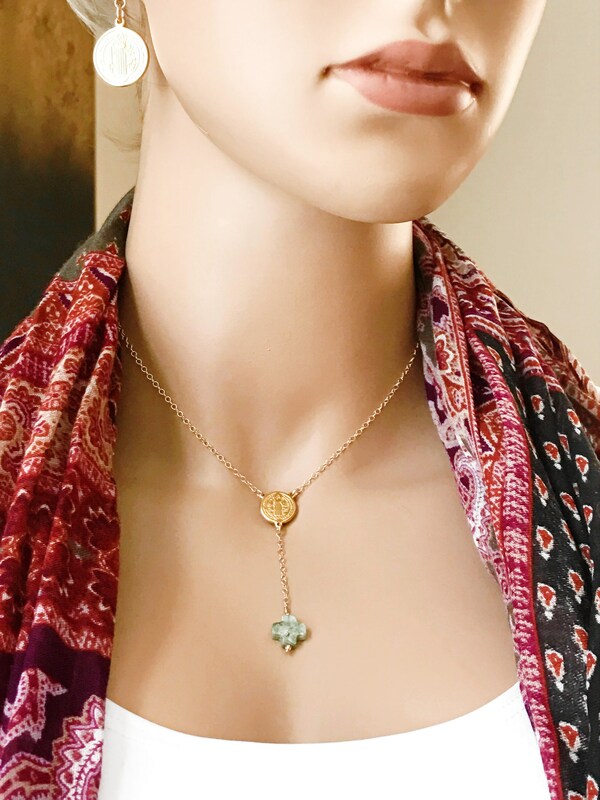 ♥ - 18k Gold Plated Stainless Steel Pendant, Size 12mm. 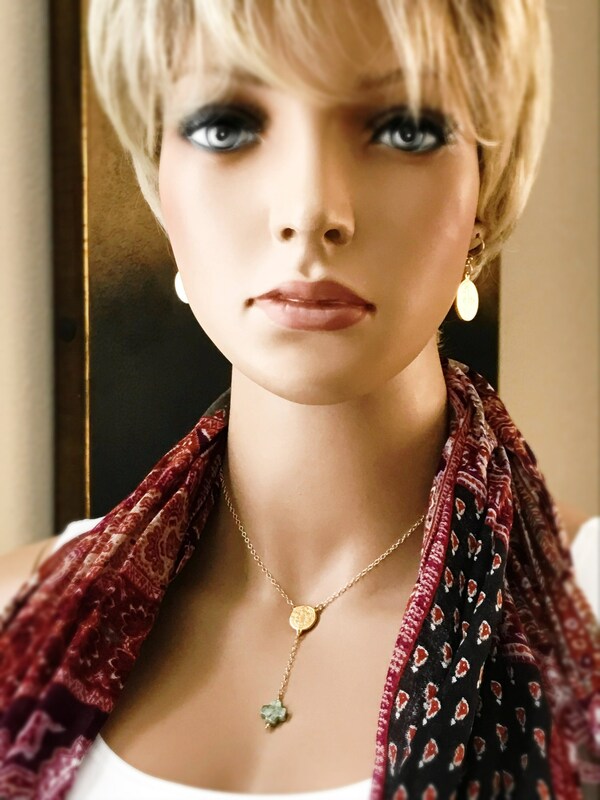 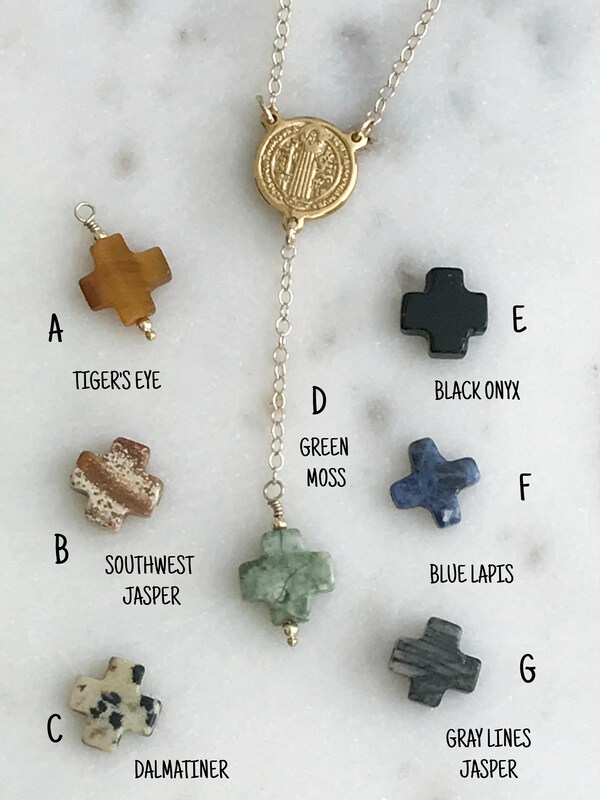 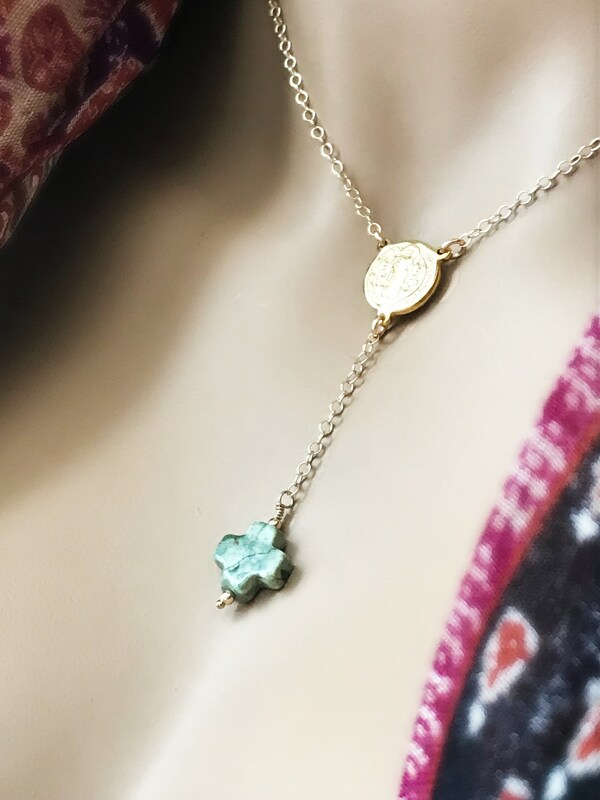 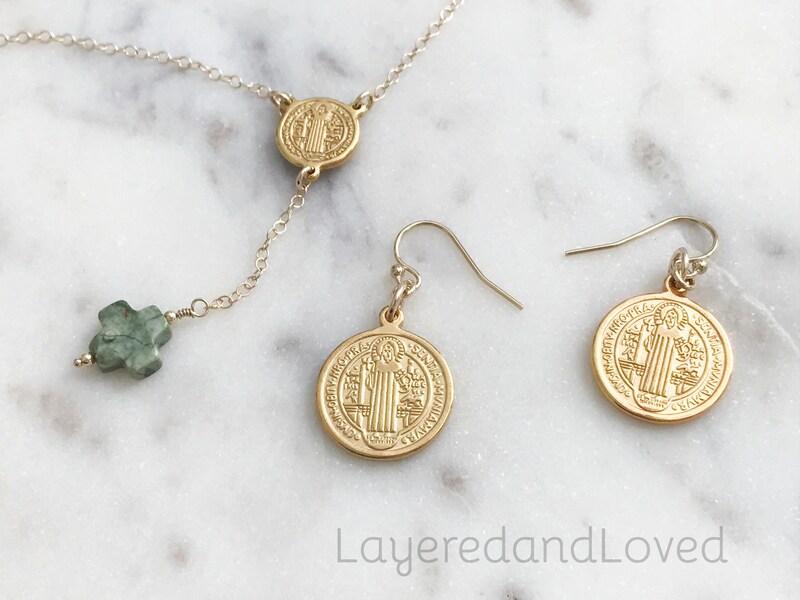 ♥ - Beautiful Saint Benedict coin is at the center of this lariat necklace with your choice of gemstone cross dangling below. 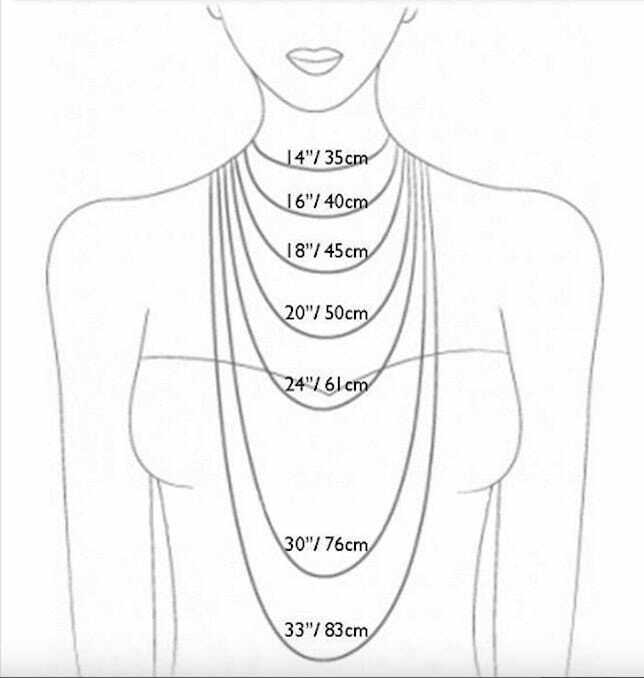 The necklace will adjust from 16" - 19".